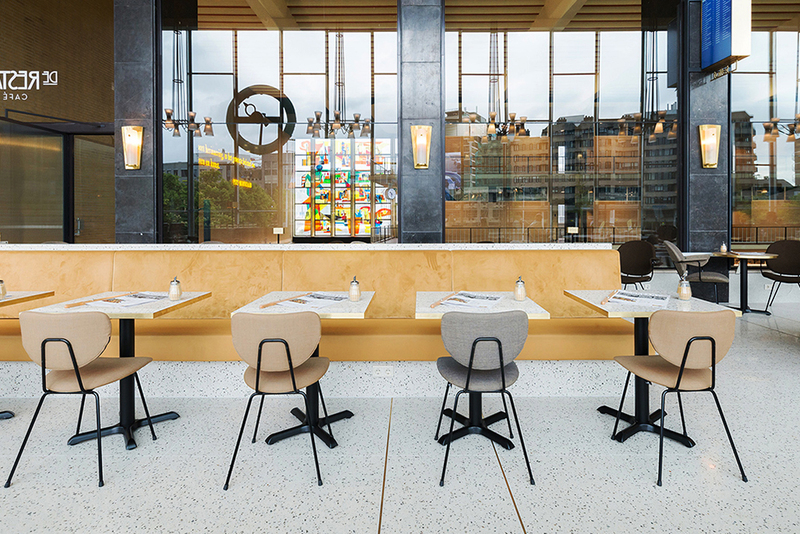 Waiting for the train, reading a newspaper, or dining, all in a stylish Gispen chair by Lensvelt. 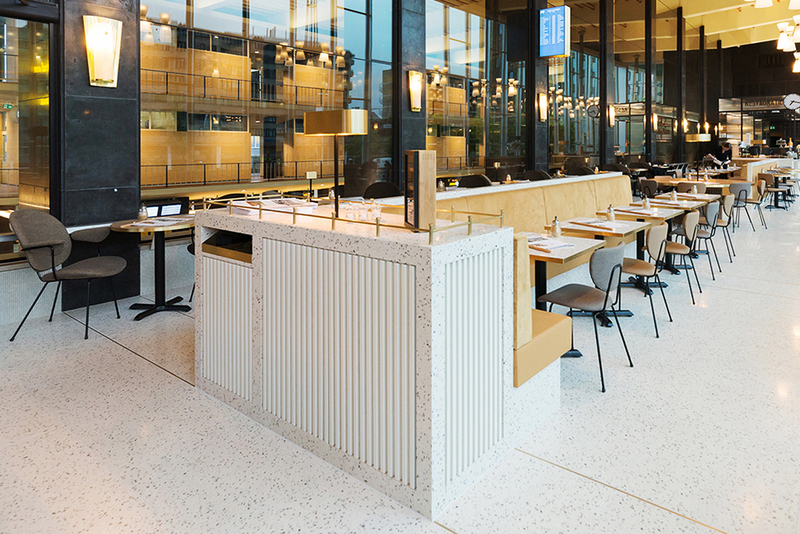 This has recently been made possible in the central hall of Eindhoven Central Station where Studio Linse has renovated the restaurant into an inviting new horeca spot, Café & Brasserie De Restauratie. Matching the Kembo WH Gispen chairs from the fifties, Paul Linse completed the design with the addition of contemporary Lensvelt WH Gispen 101 and 202 chairs. 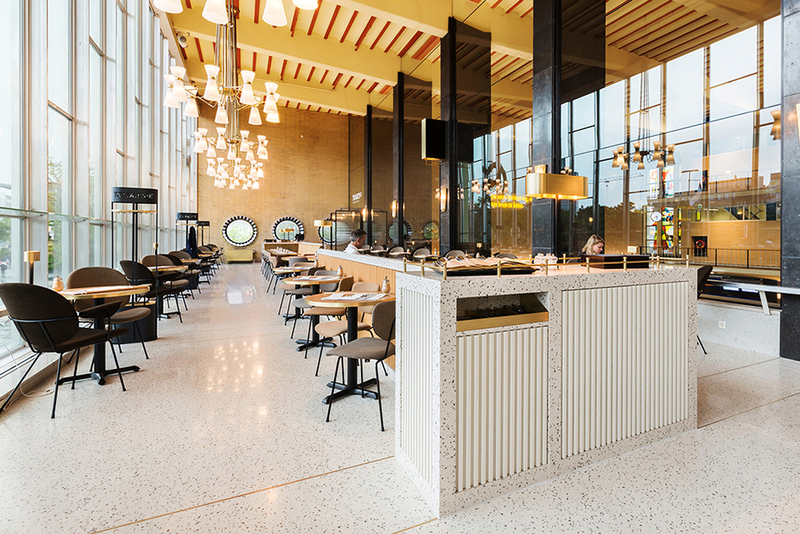 The city of light has been given a new, modern, light and sustainable station designed by Arcadis architect Luc Veeger. 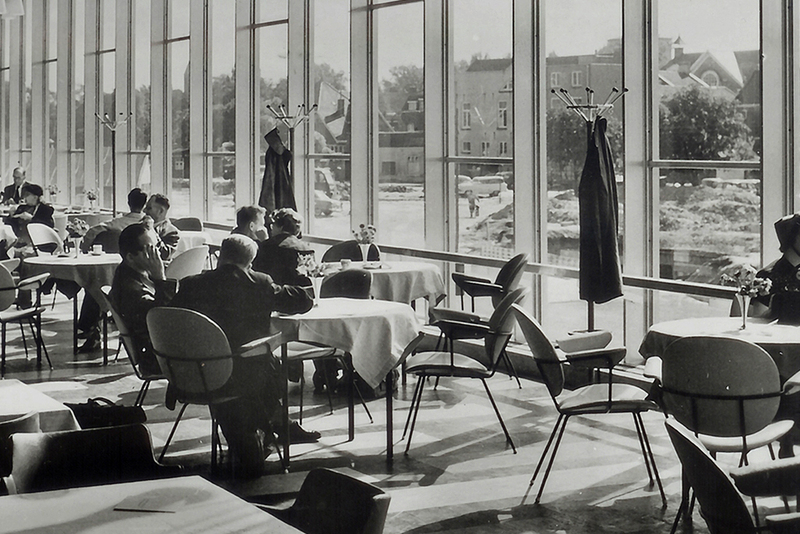 The national monument from 1956 – also known as the “Transistor radio” – retained characteristic old elements such as curved parts in the ceilings, floor mosaics and Mondriaan’s text “Doorgang, afscheid en ontmoeting,” which translates to “Passing through, parting and meeting”. Particularly the latter is now possible in the contemporary 240 square meter café-restaurant, renovated with respect for its old glory. Interior designer Paul Linse knows the location well; he came there when he studied at the Design Academy Eindhoven in the late eighties, and also later when he taught there. ‘It was an old-fashioned station restaurant with Persian carpets on the table and a worn laminate floor’, he says. 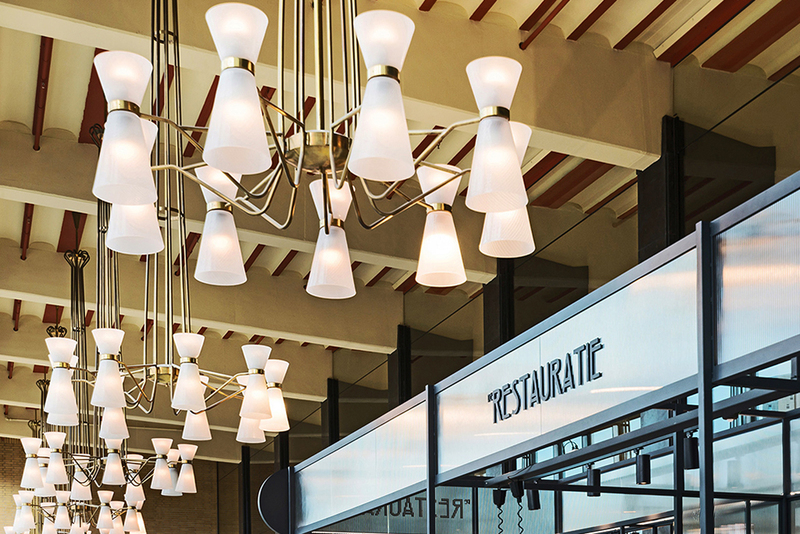 Linse prefers to allow buildings to stand out in their glory, restoring authentic elements and style icons such as glass chandeliers and furniture, rather than replacing or changing them. These are then combined with newly designed lamps, tables, benches and a counter. 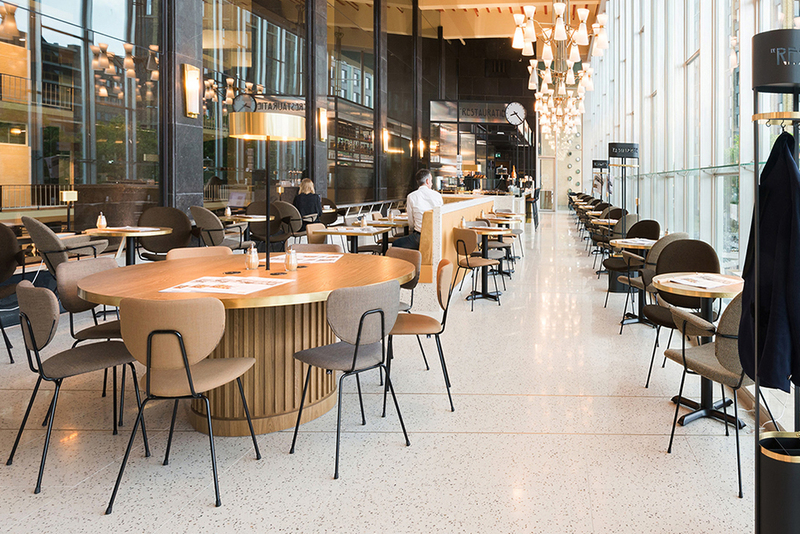 On the new terrazzo floor dozens of Lensvelt Gispen chairs with backs and seats of curved beech plywood and upholstered in Kvadrat fabrics, come into their own. ‘The WH Gispen 101 without armrests and the WH Gispen 202 with armrests are fantastic models that sit comfortably,’ Linse explains, ‘and they fit in with the existing Gispen chairs from the fifties.’ He placed the lower ones at the window, the higher in the middle section of the brasserie, and bar stools at the bar. The whole forms a logical, clear, comfortable, and tasteful balance between past and future.